Officials at Nasdaq are preparing to offer compensation to firms that lost money due to a computer glitch on the opening morning of Facebook’s IPO. It’s been estimated that traders lost a collective sum of over $100 million but the initial payout from Nasdaq is expected to be much less. The Wall Street Journal is reporting that Nasdaq is considering multiple options to right the wrong with traders. People familiar with the matter told the Journal that the group is preparing to dish out $13.7 million in the first wave of compensation in a filing with the Securities and Exchange Commission. Instead of flat out refunding money, Nasdaq will reportedly be offering discounted trading fees to those who were affected by the glitch. Brokers and traders in general have been frustrated with the group’s slow approach to compensation but it’s worth noting that the $13.7 million payout is far more than they are required to refund at this time. Current exchange rules dictate that Nasdaq is only required to pay up to $3 million per month in reimbursement as a result of problems due to their trading system. At that rate, it would take close to three years to resolve $100 million worth of claims. 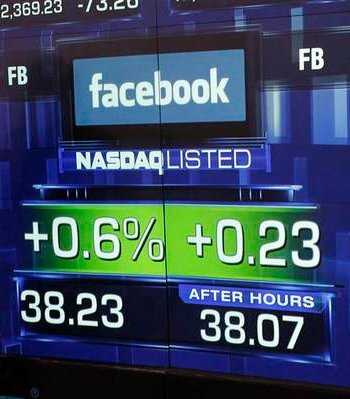 Facebook’s IPO got off to a rocky start on May 18 when Nasdaq’s computer system halted opening trades for half an hour. Investors were left in the dark for up to two hours with regards to whether or not their transactions had been processed. Stock value in the social network continues to drop, closing at $25.87 on Tuesday.